Behind the Scenes of Writing My First Book + BIRTHDAY GIVEAWAY!! 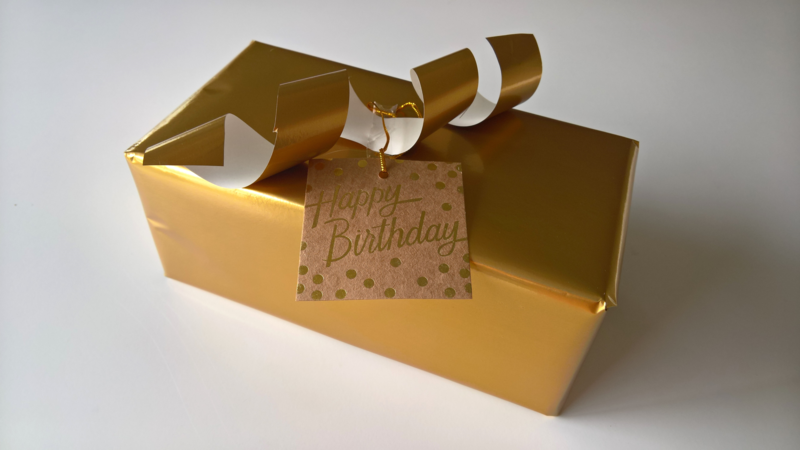 Welcome to my special Birthday post! In celebration of my 27th birthday tomorrow, I am not only giving a little behind the scenes scoop on writing my first book, but I’m also hosting a giveaway! I will be giving away 5 hard copies of Alex and John’s Scientific Adventures: The Big Explosion! to one lucky winner and will provide a personalized message in each copy. Giveaway details are at the bottom of the post. For more information about the book itself, click on the link title or the cover photo. Back before my days as an accountant, homeowner, and MBA grad, I was a 21 year old undergrad who had been working at a job that was so fun teaching kids about science in ways they could easily enjoy. The learning was not only hands on and interactive, but it kept the children’s interests and inspired me to write the series Alex and John’s Scientific Adventures. It was the summer of 2010 and I was teaching a science summer camp. Each day, we would go outside at lunch time. While the kids would play on the park, I’d sit on the bench watching and writing, that is when I had a minute from counting the kiddos to make sure they were all accounted for. The idea of my first book came very easily. I jotted down a quick plot and then began writing. And like that, after the week of summer camp and writing during lunch, I had my first draft. I quickly typed the draft into my computer and began the never-ending editing stage. I edited and edited, probably to the upwards of 50 revisions over a year and a half. I had many friends read the story and provide feedback and for that I am so grateful. I’ve also added a little Special Thanks section of the book to show my gratitude. So finally, I had the story exactly how I wanted it and I had the page formatting down. It was time to hire an illustrator. One of my close friends had been following my journey through creating the book the entire time and just so happened to be an illustrator. So, without hesitating, we began working together. But, it was not all happy. I felt like there was a lack of quality and timeliness. Not because she had poor quality work but because I had a completely different style in mind. When we were close to completing the book, we toured around a printing facility, picked out the paper type, and I ran all the behind the scenes numbers. While crunching numbers, my illustrator and I were talking about shares and it all went downhill. My illustrator felt like she had done half the work for the book and wanted 50% of the profit but that was too much for me. I wanted to split the profit, part for whomever sells the book, part for the publisher (Oh yeah, I also had my own business ABCmile, LLC once upon a time and used it to publish my book) I’ve since dissolved the business), part to the illustrator, and part to myself. This did not leave room to give the illustrator 50%. Since we were unable to come to an agreement, I decided to go another direction. I called the printing company and had them put a hold on the order and went searching for a new illustrator. Firing my illustrator was a great move for my book hands down. But, I did end up losing a good friend because of it. But now that I think about it, I’ve lost touch with all of my friends from that era of life anyways. We all move on. Somehow through the third degree of separation, I got in contact with a teenager on the complete other side of the country. We signed an agreement at the beginning of the project and she did fantastic digital work for the entire project. I was so impressed with her professionalism and the quality of her work. So, back to the printers I went after countless edits and rearranging pictures. Of course, the day after the books began printing I was reading the story to a child I was babysitting and I noticed a typo. URGH!!! I couldn’t believe it. It was a typo that was created because of moving the pictures around so many times. Since printing had begun, there was nothing I can do and I decided to be okay with that. It’s not the first book to have a typo in it. 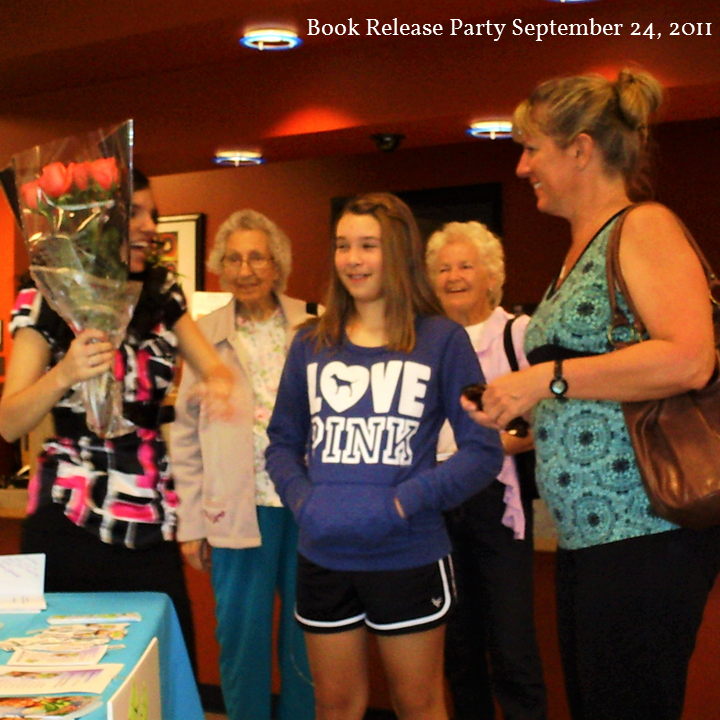 After over a year of anticipation, on September 24th, 2011, I hosted my Book Release party! I was so excited to see my friends and family come out to support me but what blew me away is that many of my teachers came to the event. Most notably, my favorite teacher from high school, the business teacher, and two of my elementary school teachers. I had searched high and low to get in contact with my previous teachers and two of my teachers from my elementary school time came! Not only did they show up, they both brought work of mine that I had done in their class for me to sign. I didn’t even know teachers kept work that long! I do have the second book in the series ‘The Rocket-Ship Adventures’ written but I haven’t been quite happy with it. It’s been in the editing stage now for five years. If anybody wants to take a look and add their input, feel free to send me an email to kari@keepitsimplediy.com. That is so exciting! Congratulations on writing your book. That has always been a dream of mine. Way to go! So great! Really well done. I am so eager to get one of these done, you have inspired me. Congratulations. What an achievement! Yes i agree that 50% is too much for the illustrator – the story is yours! Congratulations on your first book! I guess it was pretty complicated to find a publisher or a publishing house. You’re doing a great job. Keep writing.